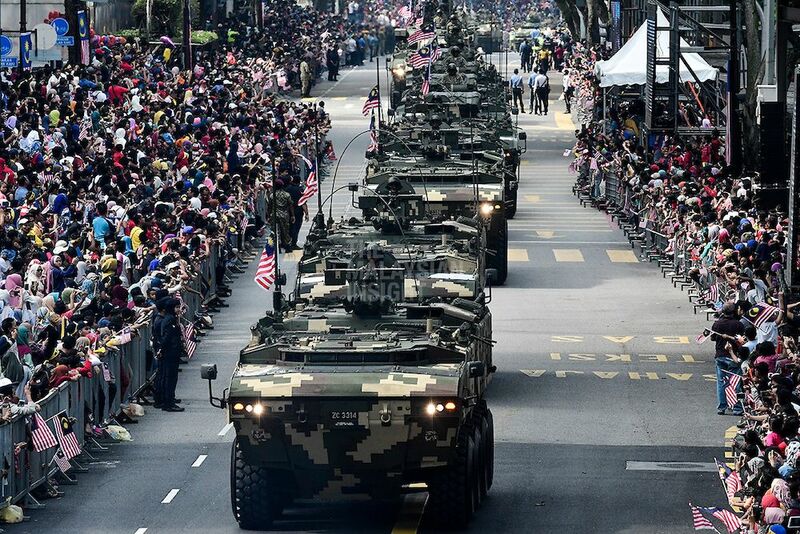 BUKIT LANJAN: In times of peace, deploy soldiers to help build Malaysia! 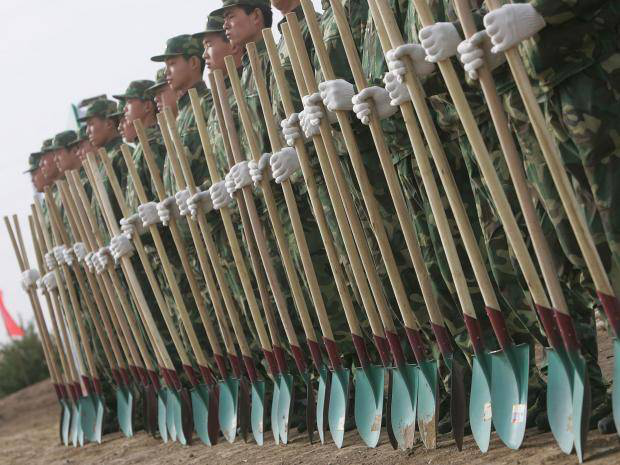 It was reported that China had recently deployed some 60,000 soldiers to plant trees in a bid to fight pollution. The soldiers are not only trained and armed to defend their country, they are also deployed to contribute to non-military nation building efforts. 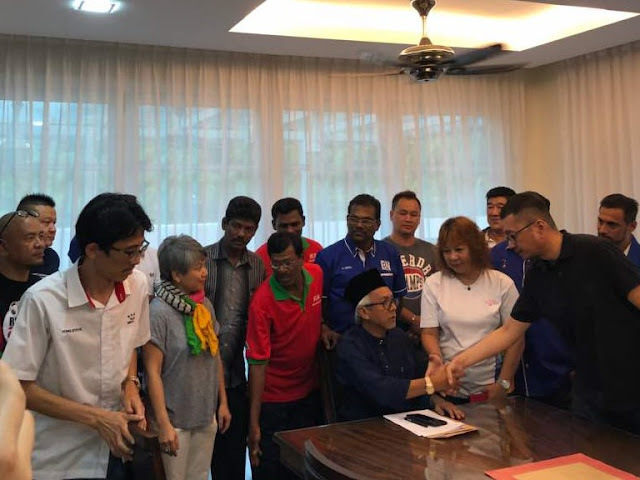 “It is a brilliant way by the Chinese government to make the best use of their military human resources to contribute to nation building in times of peace,” Gerakan Deputy Speaker Syed Abdul Razak Alsagoff said. He said the federal government should also emulate the mainland Chinese government’s noble use of its military human resources to help in nation-building efforts. “In times of peace, when soldiers are not in active military duty, there is no reason why they cannot be deployed to help in public development activities. “It is a good and positive use of human resources, No?” he asked. 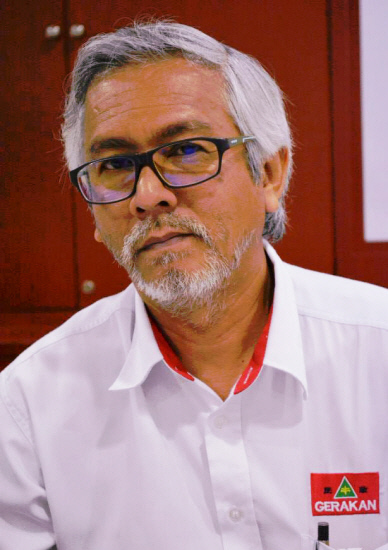 Syed Razak, who is Gerakan’s nominee to contest N.37 Bukit Lanjan in the coming 14th General Election (GE14), said there was no reason why the federal government should not consider the “smart use” of its human resources, in this case “our soldiers”. He urged the federal government, especially the Armed Forces, to plan throughout the year on the deployment of its huge human resources to help in nation-building campaigns demi rakyat dan negara (for people and country). China has reportedly reassigned over 60,000 soldiers to plant trees in a bid to combat pollution by increasing the country's forest coverage. A large regiment from the People's Liberation Army, along with some of the nation's armed police force, have been withdrawn from their posts on the northern border to work on non-military tasks inland. The majority will be dispatched to Hebei province, which encircles Beijing, according to the Asia Times which originally reported the story. The area is known to be a major culprit for producing the notorious smog which blankets the capital city. It comes as part of China's plan to plant at least 84,000 square kilometres (32,400 square miles) of trees by the end of the year, which is roughly equivalent to the size of Ireland. The aim is to increase the country's forest coverage from 21 per cent of its total landmass to 23 per cent by 2020, the China Daily newspaper reported. Zhang Jianlong, head of China's State Forestry Administration, said by 2035 the figure could reach as high as 26 per cent. "Companies, organisations and talent that specialise in greening work are all welcome to join in the country's massive greening campaign," he said. "Cooperation between government and social capital will be put on the priority list.” - INDEPENDENT"
Case in point the men from nearest Military base to the Penang Bridge should have been deployed to assist the traffic policemen to help clear the debris. The Military has always assisted in crises like floods etcetera. 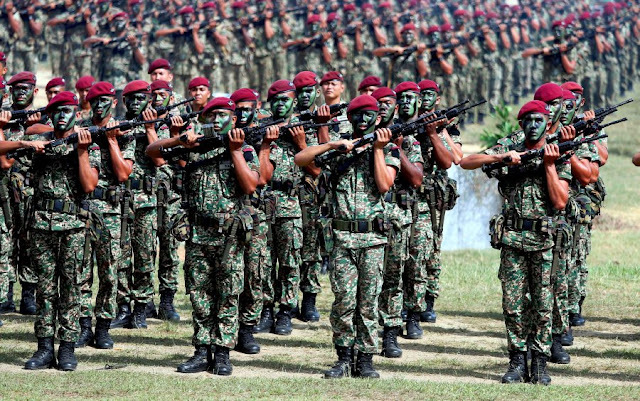 But a more detailed program could have been factored to utilize the ability and availability of the Armed Forces. During Peace~Time there is certainly a lot to do. Reaching out to the Public etcetera. Also the presence of the Armed Forces in public places will give reassurance but they could also be targeted assets.